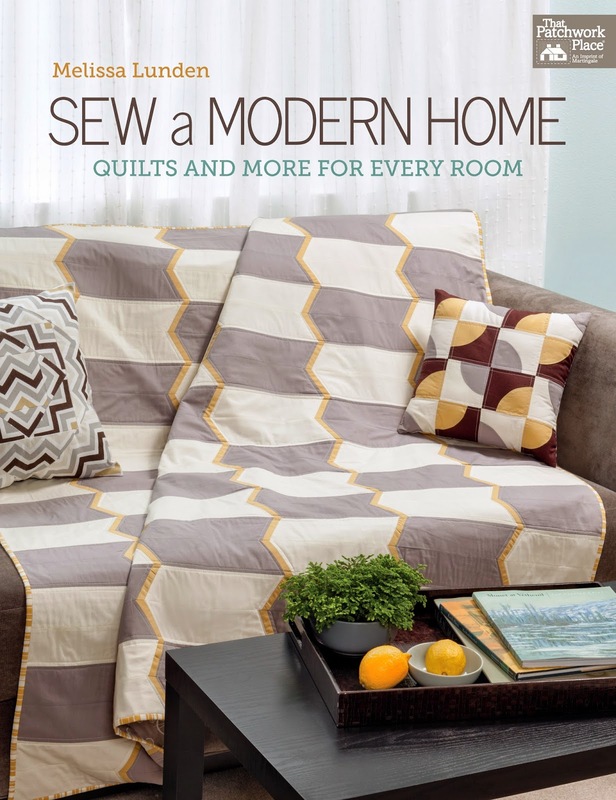 Sew a Modern Home is the new book by Melissa Lunden of Lunden Designs. My initial impression when flicking through the pages of Sew a Modern Home was how contemporary all of the projects looked. The projects have been designed to suit most homes with their use of neutral fabrics, prints and colours. Of course the sewist can always use the basic design and use fabrics and colours to suit their personal decorating requirements. As Melissa says, it never hurts to go over a few basics, so after the introduction, Melissa covers all of the sewing, piecing and quilt construction basics. Step by step instructions and images give the sewist the “peace of mind” while creating. The sewing has the opportunity to return to this section if they ever get “stuck” on something when creating one of the projects in this book. The projects are divided up into main sections which include, the living room, dining room, bedrooms (adult and childrens rooms) and outings. One of my favourite projects in Sew a Modern Home, is set for the baby room. Not only does Melissa show us how to make the quilt, sheet and crib bumper, but there are also a patterns for the super cute penguin and octopus soft toys. The beautiful projects aren’t limited to inside the home only. 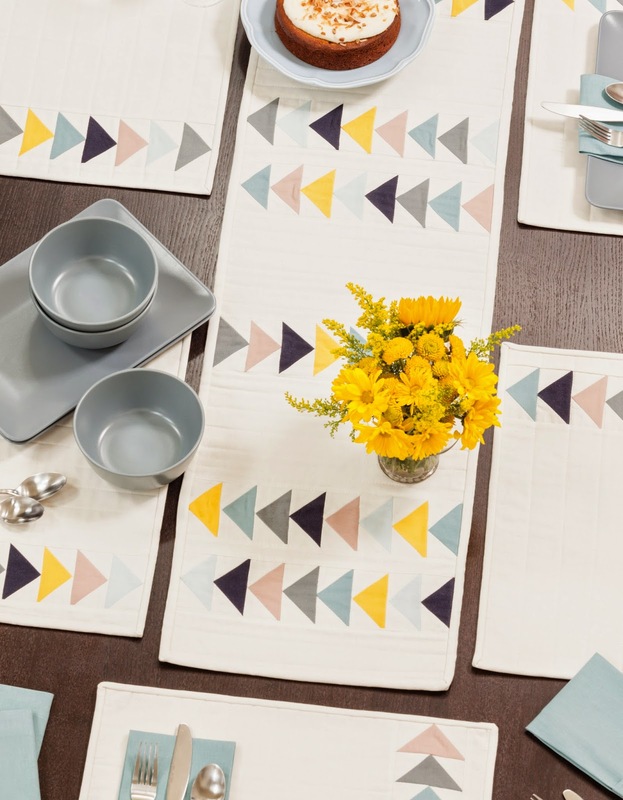 Included in Sew a Modern Home is also this stunning picnic quilt and tote bag projects. Sew a Modern Home is available from the Martingale Shop and would make a wonderful gift for your crafty friends and family. Disclaimer: I received a this book for review. All images supplied by Martingale Books. it looks like quite a nice book! I love the idea of this book especially as it has the patterns for the soft toys etc. Thanks for sharing your review.